Applying hair color has never been simpler! 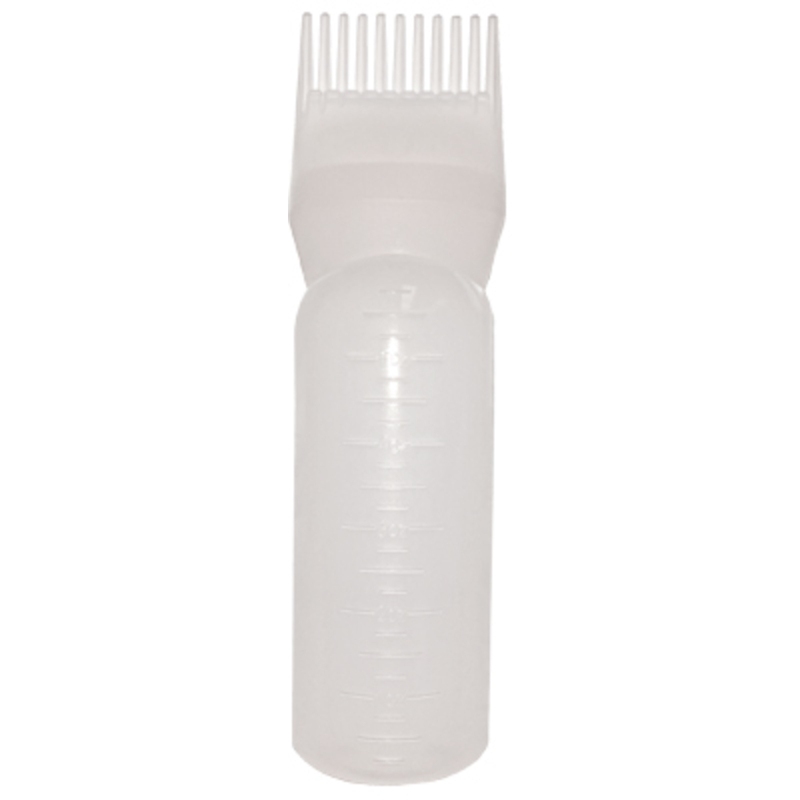 Product flows through hollow teeth to the scalp and roots providing fast application, even coverage, and no mess. Can also be used with conditioners and other hair treatments. 6 oz. translucent, frosted bottle has measuring scales in the mold.